Obituary for Rebecca M. (Simmons) Fairbanks | Thomas Funeral Home P.A. Rebecca M. Fairbanks, 77, of Cambridge passed away on Thursday, April 11, 2019 at St. Francis Hospital in Wilmington, DE. She was born in Hoopers Island on July 11, 1941 and was a daughter of the late Emory and Florence Meredith Simmons. Mrs. Fairbanks attended school in Hoopers Island. She was married to Richard Fairbanks, Sr. for almost 62 years. Mrs. Fairbanks was a stay at home mom, most of her life. But in earlier days, she worked at English’s in Cambridge and also helped out at East Cambridge School. Mrs. Fairbanks loved the family get together at Thanksgiving and Christmas and she always loved to cook. Mrs. Fairbanks loved her flowers in the yard and she always had a green thumb. She is survived by her husband Richard Fairbanks, Sr. of Cambridge, three children Wanda Cook of Cambridge, Richard Fairbanks, Jr., of Cambridge and Rose Mary Holden and fiancée Butch Taby of Glen Burnie, six grandchildren Amy Cox and husband Jeremy, Danny McCarter, Katie Johnson and husband Chris, Ben Holden, Jr., Sam Holden and Lucas Holden, four great grandchildren Brandon Cox, Caitlyn Cox, MacKenzie McCarter and Grayson McCarter, three sisters Betty Meekins of Cambridge, Marybelle Meekins of Cambridge and Helen Hughes of East New Market and several nieces and nephews. Besides her parents, Mrs. Fairbanks is preceded in death by two sisters Lula Simmons and Dorothy Simmons and a brother Omar Todd. 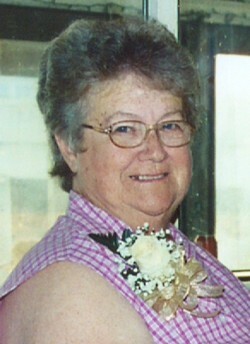 Pallbearers will be her grandchildren and great grandchildren. A funeral service will be held on Wednesday, April 17, 2019 at 1 pm at Thomas Funeral Home, P.A. in Cambridge with Rev. Jack Diehl officiating. Interment will follow at Dorchester Memorial Park. Family will receive friends one hour prior to the service. In lieu of flowers, memorial contributions can be made to Thomas Funeral Home, P.A., 700 Locust Street, Cambridge, MD 21613 to help defray funeral cost.